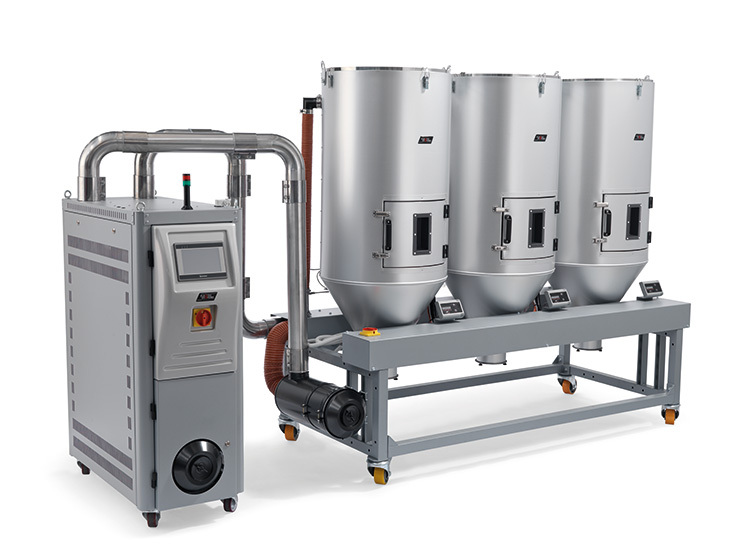 The resin dryers DW series, equipped with a rotor technology, offer high-level performaces in drying and ensure maximum efficiency and versatily of application in medium productions. DW models maintain a constant Dew Point value from -25 °C to -50 °C with airflow rates from 50 to 250 m3/h. The process temperature can be set up to 150°C. It is possible to install a wide range of hoppers with capacities from 50 l to 800 l.
• Microprocessor control with LCD display. 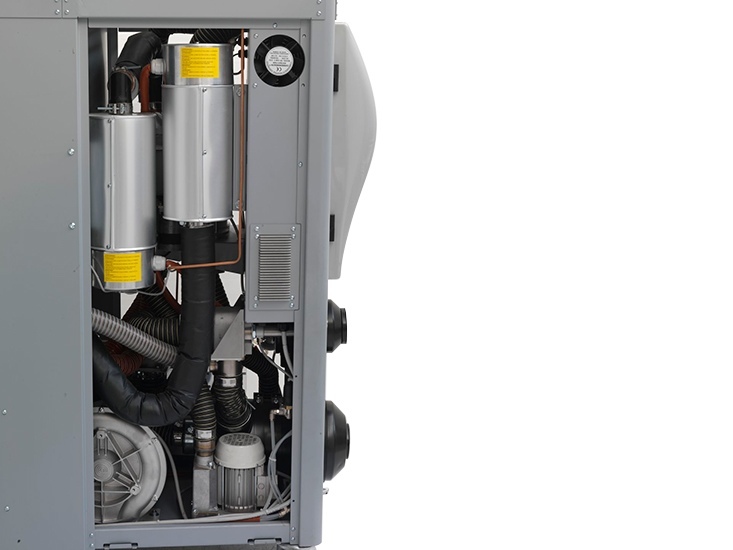 • Self-adjustable airflow with inverter according to the production demand. • Self-adjustable dew point control for process optimization. • Electronic control of the process temperature with PID. • Solid state relays (SSR) for the control of process heating. • Control of the regeneration temperature, based on the set dew point value. • RS 485 Modbus interface. • Dew Point instrument with alarm. • Color touchscreen operator panel. • Pressure switch for cloged filter. Easy programming with only two parameters to set (type of material form a database and hourly consumption). Just 3 minutes to start operating efficiently. No need water compressed air. It does not release dust, ideal for the medical and optical fileds.